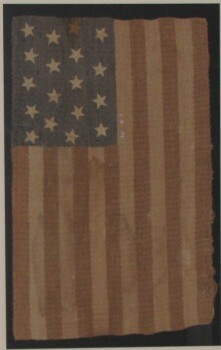 Very rare, early Civil War hand made 18 Star Flag. 18 Star flags are very rare and known as rebellion, succession, sympathy or primarily as exclusionary flags. The 18 is calculated as follows; Civil War talk & plans started when we had 33 States in 1859. Civil War “purist” also believe the start of the war can technically be traced to 1859. 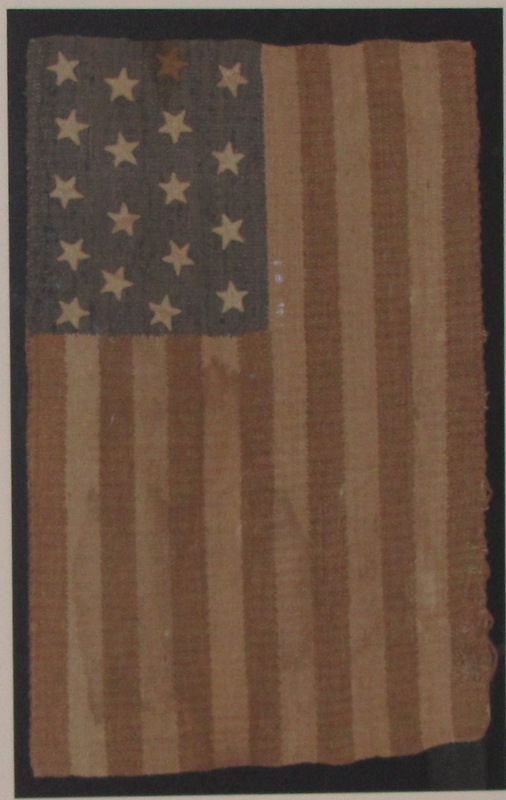 In 1861 the plan was for a total of 15 States & Territories to succeed or had plans to or sided with the south technically leaving 18 States when this flag was made. The Souths original hope was to have a federation of 15 States. This is a rare home made, completely hand sewn, hand loomed rug flag made of home spun cotton, natural dyes with hand cut & sewn stars. 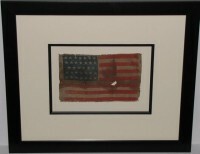 The flag appears that it has always been hung on a wall versus used on the floor as a rug as the only wear areas are where nails or hooks were used to attach it to a wall. 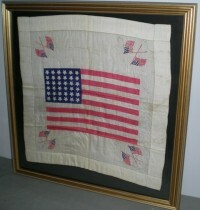 If you collect rare Civil War items this is a great find for your collection. 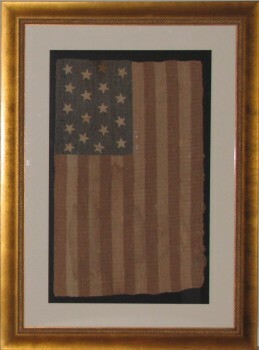 This is a authentic antique American Flag and is not a copy, reproduction or imitation Each authentic antique flag shows the actual wear, age and use as it has been passed down through time.